Can Game Developers and PC Resellers Do More to Help Each Other Grow? Game developers work hard to get their titles in front of gamers, immediately upon release. A new title generally commands its full retail price during the first few months, but promotional sales are a common practice to increase sales and players once a title has been in the market for a while. Media sites such as IGN, Metacritic, Slate, FANDOM, GAMESBEAT, Engadget, YouTube, Twitch.tv and PCMag.com help get the word out about new titles through news, reviews, events and influencer opinions. Many game developers also have promotional relationships (some exclusive) with major platform players like Intel, nVIDIA, Sony (PlayStation), Microsoft (Xbox), and PC OEMs. Intel offers Starter Packs through PC OEMs to get titles in front of gamers. Consumers may get a “pack” of select titles and downloadable content with the purchase of a qualifying system. We’ve run that program for five years, and we expect millions of bundles to be sold in 2017, supporting hundreds of PC resellers and retailers, worldwide. Can you imagine the number of gamers we reach? In addition, Intel® Extreme Masters eSports tournaments and expanding global and regional gaming events help more gamers hear about and experience new titles. However, when it comes to sales and downloads, most game developers use their own websites and social platforms. They also use digital rights management (DRM) sites like STEAM to broaden their reach, and retail sites like Green Man Gaming, GOG.com or Humble Bundle. The question is, what else can game developers and PC resellers do to help each other grow? At Intel, we’re always thinking about that because we know our tremendous scale in the PC reseller and retail channels has great potential value to game developers. We continue to build tools, resources and services to make our channels easily accessible to new titles, whether they are “AAA games”—those with the highest development budgets and levels of promotion—or games from smaller, independent developers. That’s where various types of PC reseller bundles can help. Game bundles help developers get new titles in front of consumers and also help resellers sell more PCs, capitalizing on the momentum and desire for new titles. It’s truly a win/win for developers and channel partners. But as much as the big name AAA titles help sell hardware, there is plenty of room for indies at the table. Indie as well as AAA game developers appreciate additional vehicles that can generate new revenue without tarnishing a brand or franchise; inadvertently supporting the gray market or expanding their consumer marketing expense. Intel offers developers additional reach through PC resellers, retailers and OEMs. That gives small developers access to channels they never had, while big developers get access to additional channels that are different from and adjacent to theirs. The key is working together, in partnership, to use our combined channels in ways that overlap and reinforce one another. Whether you are a large developer looking to get access to new channels or a smaller developer trying to increase your reach, there are opportunities for everyone. Game developers who want to optimize performance and maximize consumer reach can partner with Intel for the tools, resources, and opportunities they need to create the best experiences and reach the widest audiences. The Intel® Game Developer Program provides software toolkits, networking and go-to-market opportunities for developers to get ready by optimizing performance on Intel® architecture, get noticed with Intel certification, and get big with Intel co-marketing. 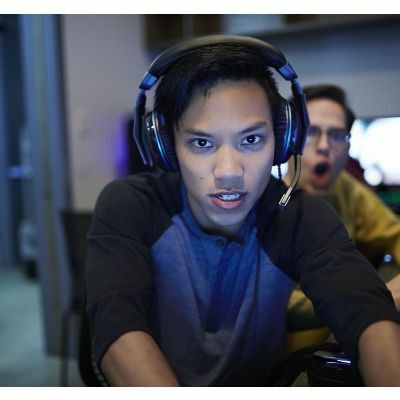 Visit our Game Developer Program page to learn how Intel can help developers like you get ready, get noticed, and get big—and stay tuned for some exciting announcements that will take it to a whole new level. any pc game that seamlessly combines action and stealth?